Cut the cheese into small pieces. Wash the figs, dab them dry and cut them crosswise on the top. Press down on the figs so that they open. Insert a piece of cheese into the openings. Whisk the fig mustard with 2 tbsp. olive oil and lime juice. Pick the rosemary. Halve the ham slices lengthways and wrap each of them round a fig. 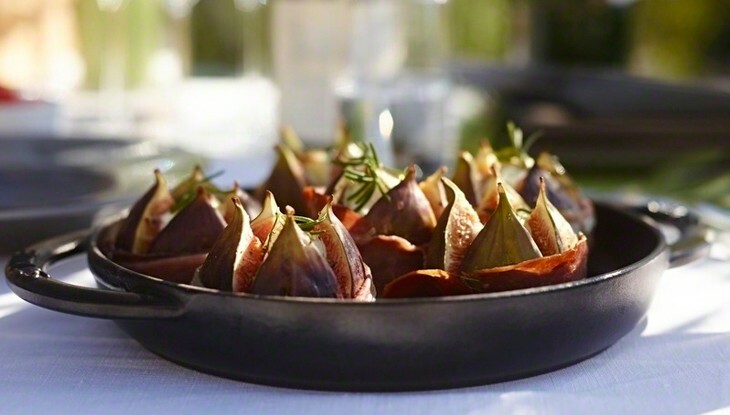 Heat the remaining olive oil in a STAUB grill pan on the stovetop and add the figs, placing them next to each other. 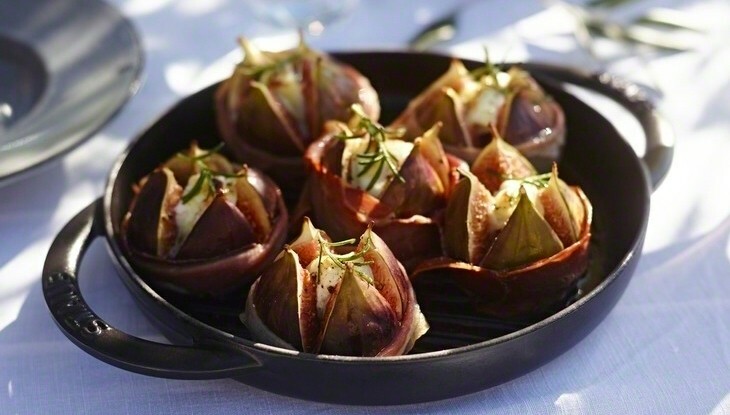 Drizzle the fig mustard and rosemary mixture over the figs and the cheese. Season with salt and pepper and grill at medium heat for about 8-10 minutes.